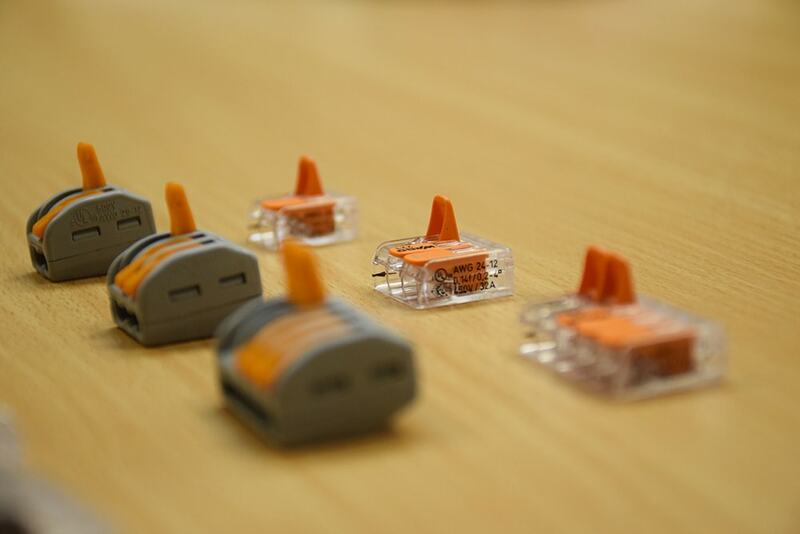 Wago connectors are a simple solution for hidden connections, which can be maintenance free and replace junction boxes, terminal strips and block (choc block). The company prides itself on continuously keeping on top of industry trends and remaining one step ahead. Substandard maintenance and incorrect assembly can result in a disaster for screw connections, with the risk of short circuits and shocks. Wago have identified these risks and tackled them for more than 50 years with their top quality components, which won’t set you back too much money. The Wago’s come in a range of sizes, for different purposes. 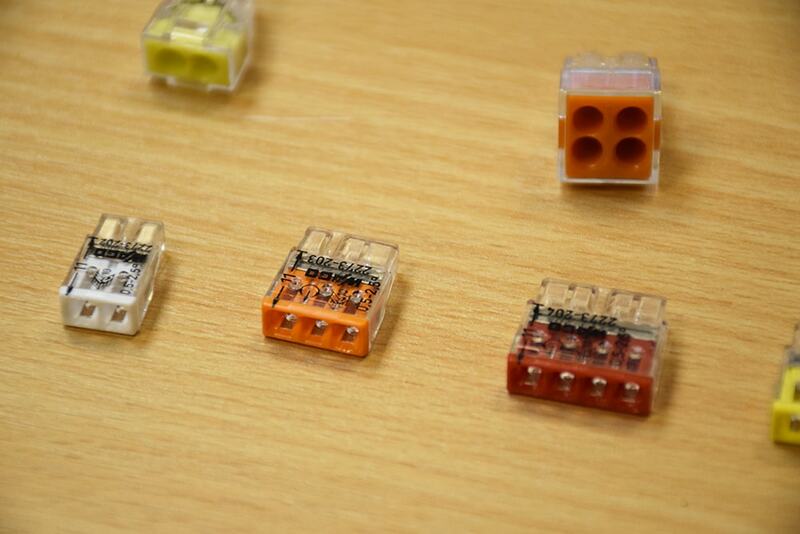 The micro sizes and styles can be used with solid core and stranded cables, and allows terminations to be hidden and therefore not intrusive to the customer. Once inside a sealed containment box they are classed as maintenance free and give a secure sound connection when extending or altering installations. They are sure to speed up your installation work with their simple operation, and create a secure system that is less intrusive than older methods. 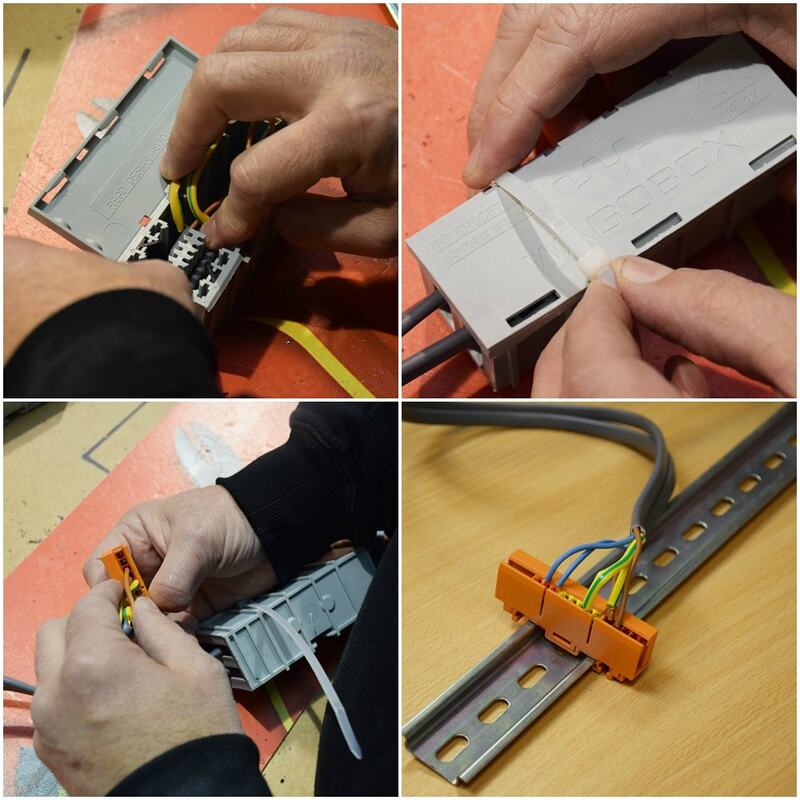 Our electrical trainer claims that “Wago connectors are probably one of the best advances in electrical installation” that he has come across. Although this is considered old technology, as it has been in used across Europe since the 1950s, however its use in the UK is fairly recent, having been around for past 10 years. The connectors are simple to use, providing a solid termination that under proper containment conditions are maintenance free. 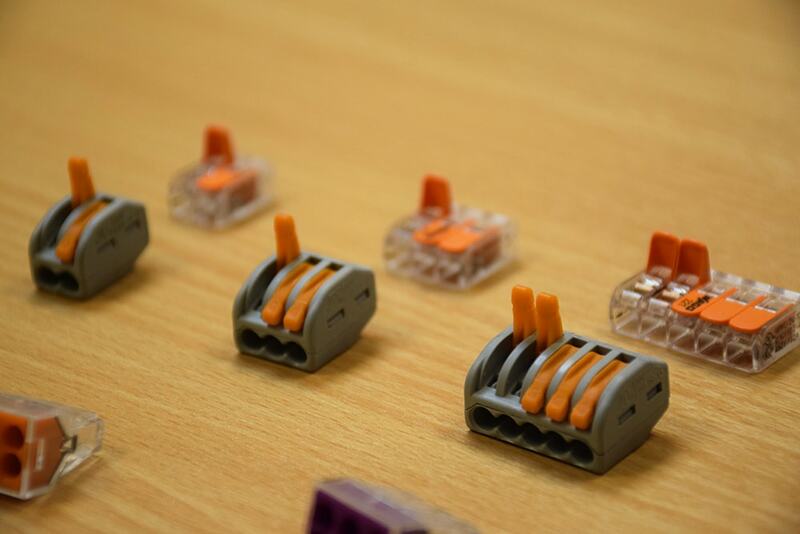 Wago connectors are available in a variety of sizes and styles, such as push in clamp connectors for solid core cable, lever versions for stranded, and the connectors have now even become micro sized. If you want to read more tool reviews, then take a look at our product review on Kewtech’s KT 65DL Multifunction Tester!